Live from France... it's Le Tour! History was made during the 1964 Tour de France. 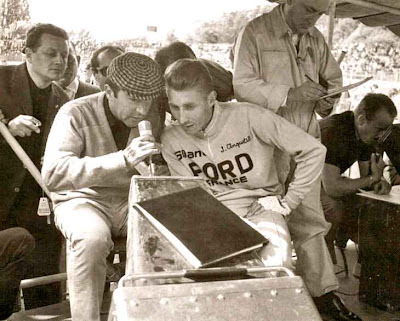 Not only the epic battle between Anquetil & Poulidor erupted on the Puy de Dome but the introduction of live television, to the public happened. 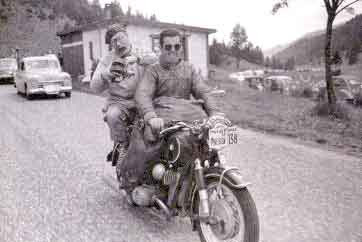 Television cameras had first been present during the 1948 Tour, but only at the finish. 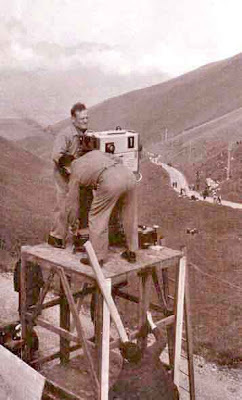 The technology improved over the years but transmissions from the mountains coupled with bad weather was a thorny issue. Now in 1964, the live feed gave the eager public the conduit to view the Tour in a special way. Watching live TV, folks didn't have to go out and buy the newspaper the next day to see what happened. Television made cycle racing into a visual feast popular for the fans. And, importantly TV generated the much needed revenue attracting more sponsors. Thanks to live TV, after the exciting 1964 Tour, bike sales increased and more young Frenchmen joined cycling clubs! to be published in the next days paper!